With mighty ShovelBlade in hand and a yearning for his lost love, the ever-honest Shovel Knight sets out to defeat the Enchantress and overcome the terrible foes belonging to The Order of No Quarter! The critically-acclaimed, retro platformer Shovel Knight is on the way to PS4, PS3, and PS Vita. For Shovelry! Steeped in retro love and powered by a jamming soundtrack, Shovel Knight invites players into a classic adventure of lost love and hidden dangers. Guide Shovel Knight through a series of themed stages and take on memorable bosses in order to amass riches, enhance his inventory, and defeat the Enchantress! Shovel Knight on PlayStation features a very special cameo from the one and only Kratos, the God of War. Prepare! Feeling stealthy? Assassin’s Creed Chronicles: China is also just days away on PS4. Travel to 1526 China as the Ming dynasty begins to crumble. As the final Assassin of the Chinese Brotherhood, exact revenge and witness the end of an empire. And in the world of entertainment, check out music from Passion Pit, Alabama Shakes, and Imagine Dragons. Or watch the critically-acclaimed historic drama Selma. 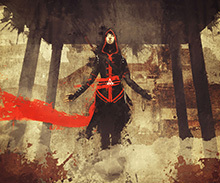 Assassin’s Creed Chronicles: China takes place in China, 1526, as the Ming dynasty starts to crumble. You embody Shao Jun, the last remaining Assassin of the Chinese Brotherhood, returning to her homeland with a vendetta. The Infinity is the largest spaceship ever built by mankind, flung into the void of space to secure humanity a new home amongst the stars. However, instead of discovering paradise, the inhabitants of The Infinity unlocked the door to a long forgotten nightmare. Explore ancient ruins, dodge carnivorous beasts, and avoid trigger-happy hunting parties as Abe, the original Oddworld hero in this lovingly re-crafted take on PlayStation classic Abe’s Oddysee. 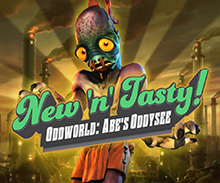 Once a happy floor waxer in Oddworld’s biggest meat processing plant, Abe stumbles across his boss’s secret plan. Completely re-worked for PS Vita, play as Umihara Kawase — a 20 year old backpacking Japanese sushi chef armed with a fishing rod, a rubber fishing line, and a fishing hook. Avoid fish-like enemies, conveyer belts, spikes, watery pits, time travel, and more. Shovel Knight is a sweeping classic action adventure game with awesome gameplay, memorable characters, and an 8-bit retro aesthetic created by Yacht Club Games. You play as the eponymous Shovel Knight, a small knight with a huge quest. Shovel Knight has come to this valley with two goals: to defeat the evil Enchantress and save his lost beloved. Dungeon-crawling first-person shooter at its finest! Fast-paced combat! Dozens of perks, spells and enemies! Level ups! Random Dungeons! Traps! Badass bosses! Carrots! 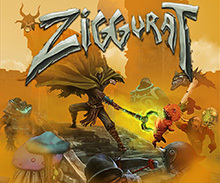 Ziggurat is one of the best combinations of FPS and Rogue-LITE you have ever seen. Oh good Shovel Knight is a 3 way cross buy. Cross Save? been flying around for job interviews a lot and it would be nice to get off a long flight to be able to continue where I left off on my PS4 after I settle in. Shovel knight , infinty runner & ACC for me ! I know I’ve been so pumped. Shovel Knight, cool. I finally get to see what the hooplah is all about. Whoa! Ziggurat? That’s pretty rad. Didn’t know that was even coming out! Shovel Knight. Shovel Knight. Shovel Knight. Shovel Knight. Shovel Knight. Shovel Knight. Shovel Knight. Shovel Knight. Shovel Knight. Shovel Knight. Shovel Knight. Shovel Knight. Shovel Knight. Shovel Knight. Shovel Knight. Shovel Knight. Shovel Knight. Shovel Knight. Shovel Knight. Shovel Knight. Shovel Knight. Shovel Knight. Shovel Knight. Shovel Knight. Shovel Knight. Shovel Knight. Shovel Knight. Shovel Knight. Shovel Knight. Shovel Knight. Shovel Knight. Shovel Knight. Shovel Knight. Shovel Knight. Shovel Knight. Shovel Knight. Shovel Knight. Shovel Knight. Shovel Knight. Shovel Knight. Shovel Knight. Shovel Knight. Shovel Knight. Shovel Knight. Shovel Knight. Shovel Knight. Shovel Knight. Shovel Knight. Shovel Knight. Shovel Knight. Shovel Knight. Shovel Knight. Shovel Knight. Shovel Knight. Shovel Knight. Shovel Knight. Shovel Knight. Shovel Knight. Shovel Knight. Shovel Knight. Shovel Knight. Shovel Knight. Shovel Knight. Shovel Knight. Shovel Knight. Shovel Knight. Shovel Knight. Shovel Knight. Shovel Knight and Assassins Creed Chronicles: China for me. What a great drop! Excellent! Thanks for stopping in. Nothing great this week. But that’s ok, thanks to the Flash Sales I have some extra games to keep me busy for a while, a long with Bloodborne until The Witcher 3 comes out. Love those FLASH SALES SONY!!! KEEP THEM COMING!!! Can we please get Crash and Spyro’s PS1 Classics on the PS Vita? 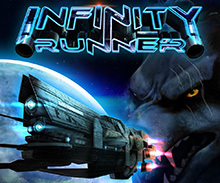 I know you guys don’t own the franchises, but can you PLEASE make a deal with Activi$ion so we can play these games on it? Europe and Japan have been able to do so for ages. At least give us an answer. Thanks for the question! I wish I had insight into those inquiries but really those workings are far above me. >_< Sorry I can't help more! Guess it’s time to sell the vita. I read salt and sanctuary isn’t coming till maybe August. That’s about all I see exciting coming. why did they decide to release Sayonara UmiharaKawase + the same time as Shovel Knight? too bad it’s gonna be buried by that shovel. Shovel Knight! Oh, Yeah!!!!! Been waiting for this on my Vita. Can’t wait. And keep the PS One Classics coming! hey Ryan, do disc/digital require Assassin Creed Chronicle to play ? Hey Ryan, please tell the Vita firmware team that the system keeps notifying me about “The LiveArea screen has been refreshed.” even though I set it to not notify me. Looks like a good week for PS4 owners. I’m not much on indies but my kids love Em. I must admit I dug Never Alone maybe it was the videos of enlightenment. Shovel Knight has my interest though…! Just double checking because I got lost in Ubi’s explanation since the Unity chaos. IS Assassin’s Creed China still part of the Unity season pass? Hey Ryan is the Evil Within DLC part 2 dropping? 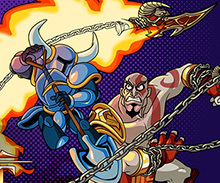 Really pleased that I will finally be able to play Shovel Knight….why is Kratos in that picture???? Awesome! Did “Color Guardians” get pushed back for PS4 & PS Vita? Never mind found the reason. Hi, Color Guardians fans — we’re announcing a new launch date of May 12, 2015 for PS4, Vita, Steam Mac and PC. This should be our last change before the game is ready for you to play! Thank you so much for your patience, and we’ll share our finished game with you soon. Whoa, they made a remake of Umihara Kawasi!!? I didn’t know that. 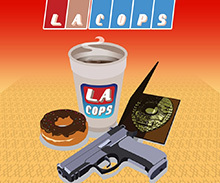 I loved it on the SNES. Will be picking this up for sure. I had no idea that Sayonara Umihara Kawase+ was releasing this week! I have something to look forward to now! 1. 2 Factor Authentication would have to be account wide basically. That’s a lot of infrastructure to add to a lot of products in the backend. 2. That would be nice, but Vudu has been working well enough. They’re just gonna miss out on purchases anyway, since if I’m going to buy it, it’s blu-ray digital copy and DVD if at all possible. 3. Not until 2 factor auth at the very least. If your account is ever hacked this is the worst case scenario. 4. Would be nice for people to give developers money for games they already gave for free… To be honest though PS Plus is such a good deal you’d have to be dead broke to not be able to resub, in which case you probably shouldn’t have double dipped so you could get the next year paid off. 6. Are you over 1.5 TB in games? I probably am. 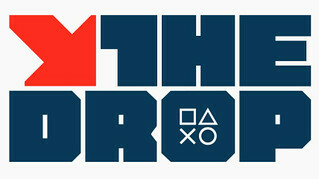 They need to add this if they ever stop supporting the PS3. PS Now sub seems to be a bet hedging. Why remake that Sayonara game ? It wasn’t release outside of Japan back on the SNES days . In fact why release it here? Where can I give a suggestion to PS PLUS? I think a PS1 classic should be given every month along the others games of the month. After all,they work on ps3 and PS Vita. And what about old psp games that work on the vita? That would be good too. Someone needs to make an avatar of Kratos from Shovel Knight! @1 – Oh the glory of being a vita/ps4 owner, u can play on the go and then continue playing when u get home. I don’t understand how more ppl don’t see the appeal in this? Remote play as well. If u own a PS4 u need to own vita. The only thing that truly excites me about the AMAZINGLY INCREDIBLE shovel knight is the kratos boss and the GoW theme music. I would venture to guess that shovel knight is a good game, nothing more. AC China has intrigued me ever since I heard about it too bad we don’t have a price.. Does Shovel Knight have Platinum Trophy? @Ry-Dog It’s getting kind of old there buddy. Or should we call you EpicRyDog? For those of us who pre-ordered The Witcher 3 early before the bundle was announced, how do we upgrade to bundle or get the expansion pass for at discount? @17 quicksilver – Why is it time to sell the Vita? Ru finished with Helldivers, Oreshika, and nearly all the spring fever games? Axiom Verge is coming to Vita, octodad, resident evil rev 2, mighty no. 9, Severed, tales from borderlands, Broforce, new n tasty, Reaper and way more. Everyone thought Vita was dead and then all these great games just dropped. Nice I had no idea ziggurat was coming to ps4 and on the same day as shovel knight! Sweet week ahead! There needs to be links to the games’ store page or preview or something.